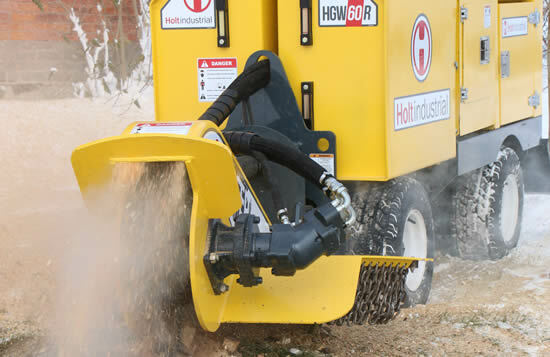 Click below to see the Eraser HGW60R in action! 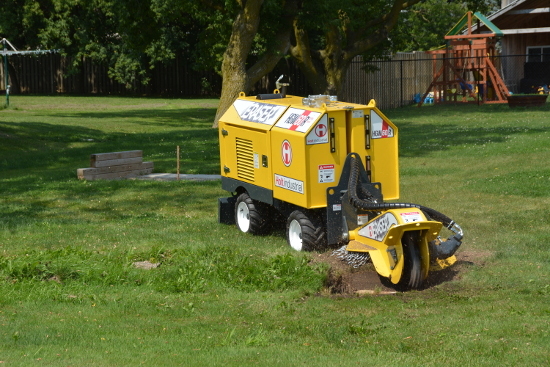 Stumps will soon be nothing more than a memory with a 3½ inch deep cut on each pass. 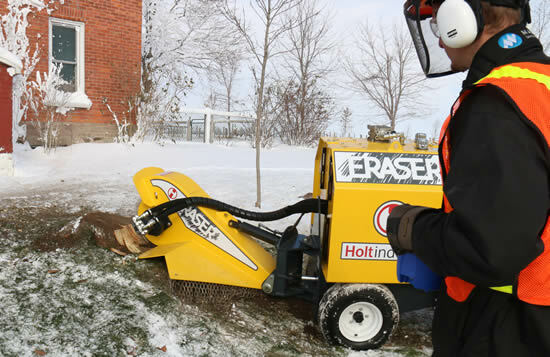 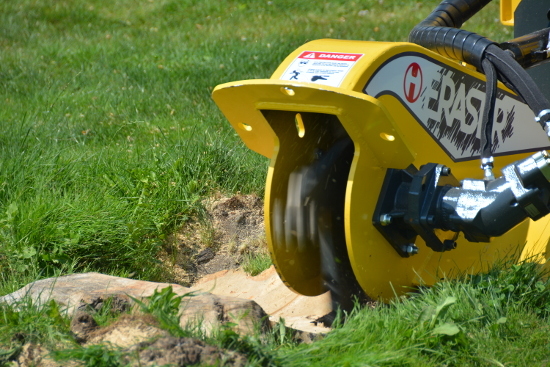 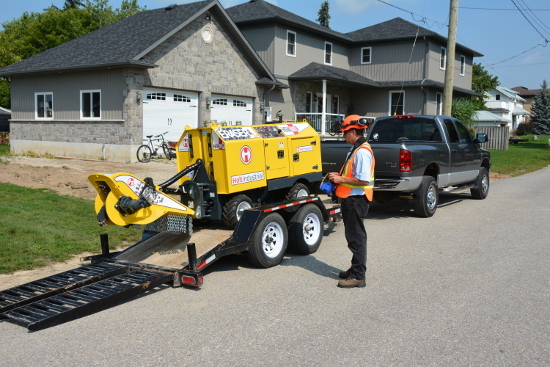 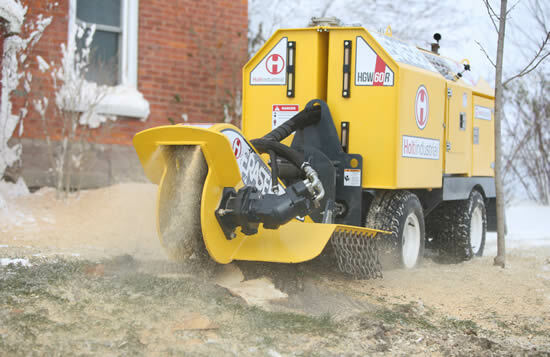 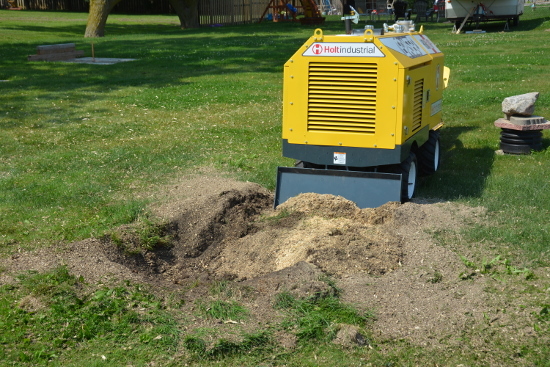 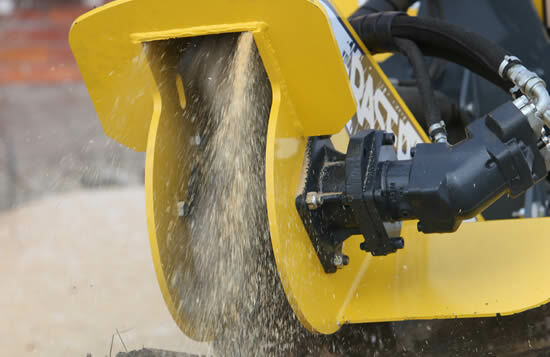 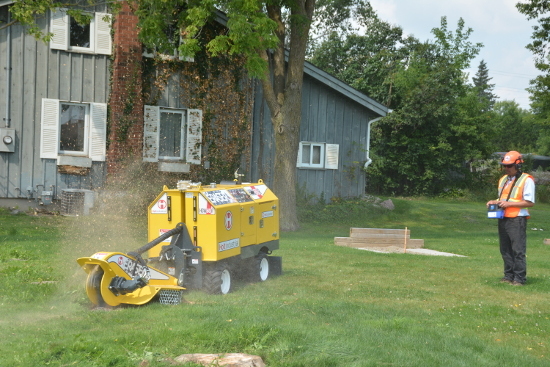 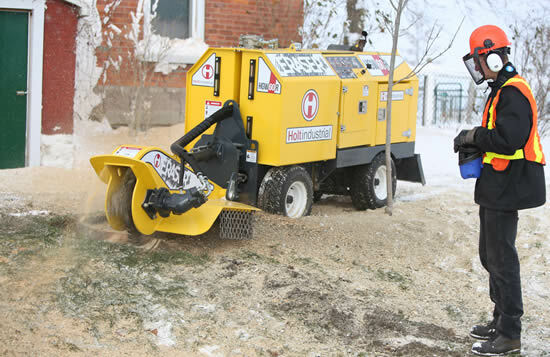 The Holt Eraser HGW60R is a self-propelled stump grinder designed for 36 inch above to 15 inch below grade cutting. 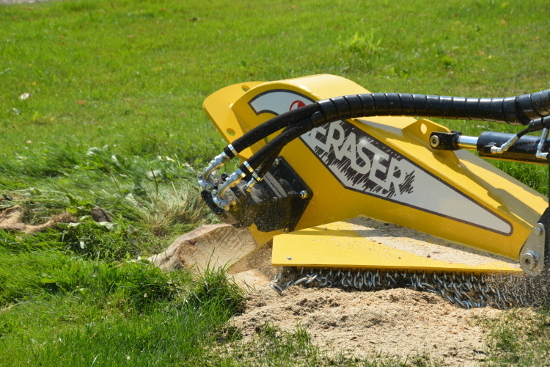 With an impressive 82 degree swing arc that equals a 58 inch horizontal pass. 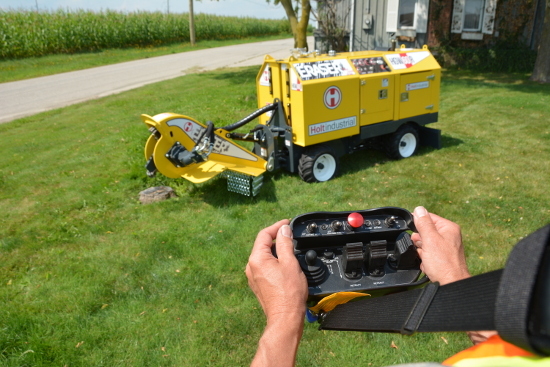 The controls are easy to handle and can be dialed in for your specific needs with traction control adjustment and variable swing speed.